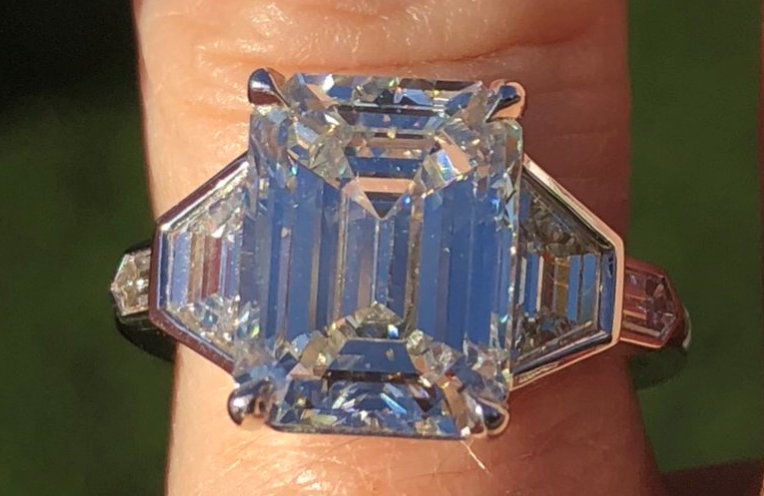 Emeraldsaremyfavorite really lived up to that screen name when she shared her extraordinary Emerald Cut Diamond Engagement Ring Upgrade. When this stunning ring showed up on the Show Me the Bling Forum, it was hard to take my eyes off of it! 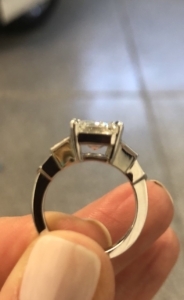 An Ering Upgrade is such an exciting process, the love grows and sometimes the ring does too! Emeraldsaremyfavorite originally had an oval cut diamond ring when she first agreed to be a bride. 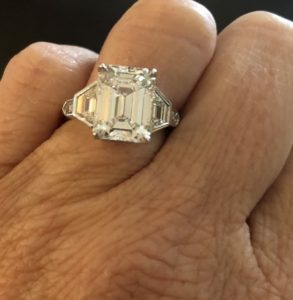 The second ring was true to her name and a 3.01 ct Emerald Cut that she experienced DSS with. This stunner is ring number 3, and may the third time be the charm, it is certainly charming. The diamond upgrade came from ID Jewelry and that experience was fabulous! Mark Broumand created the setting and did the bench work resulting in this fabulous piece! Clarity: VS2- 100% eye clean. Do you know your basic engagement ring anatomy?